There is no legal requirement for a company and its shareholders to enter into a shareholders agreement. To do so is often seen as an unnecessary expense especially if the shareholders know and trust each other and when the company is already set up with its own articles of association. Set out below are 5 reasons why spending some time and money on having a shareholders’ agreement prepared at the outset is time and money well spent. As with all relationships, business or otherwise, and despite the parties’ best intentions, people can and do fall out. Agreeing how any such dispute should be resolved before it happens is easier and cheaper at the outset when everyone is of the same mind and similar finances than further down the line when positions may have become entrenched and embittered. They are private documents that are not filed at Companies House and so can, and often do, include very bespoke, confidential provisions. The board of directors manages the company on behalf of the shareholders. However, there may be certain decisions that the shareholders feel should not be left to the directors and which ought to require shareholder approval, particularly if there are directors who are not shareholders. What those decisions may be will be for the shareholders to decide although they will often cover fundamental issues such as borrowing, capital expenditure, new share issues and dilution, etc. Minority shareholders’ positions can be protected by ensuring that certain decisions can only be made with the unanimous consent of all shareholders, while “tag along” rights ensure that they can “tag along” to a majority shareholder’s sale of shares rather than be left behind. On the flip side, “drag along” rights allow a majority shareholder to drag a minority shareholder into his share sale to ensure that a sale cannot be blocked by a minority shareholder. A shareholders’ agreement will often provide a mechanism for how shares in the company are sold, who they may to sold to, the price at which they may be sold as well as the circumstances where they must be sold. These provisions ensure that shareholders remaining with the company are given the opportunity to retain 100% of its shares by being giving a right of first refusal on a shareholder leaving, at a pre-determined value/valuation formula. They also provide that shareholders ceasing to be connected with the company through death or cessation of employment or directorship, must sell their shares rather than be allowed to benefit from them after their relationship with the company has ceased. Alternate valuation formulae can also be included depending upon the circumstances in which a shareholder leaves. Known as “good/bad leaver provisions” they provide that a good leaver will get a higher price for their shares than a bad leaver. “Good leaver” and “bad leaver” definitions can be standard or bespoke. Remaining shareholders may require an exiting shareholder to enter into restrictive covenants preventing his/her ability to set up or work in a competing business and/or solicit clients, customers and employees. Legally these restrictions can be stricter than those contained within an employment contract and can be very valuable in protecting the company’s business and its value from ex-shareholder competition. Specific provisions for dealing with disputes can be provided for in the event they do arise. These may include mediation, arbitration, adjudication by an expert or even the purchase by one shareholder of another. Agreeing how a dispute will be dealt with before it arises ensures there is a framework for progression rather than a stalemate that more often than not will damage the business. If you wish to discuss shareholders’ agreements further please contact Jamie Lloyd (JAL@nexussolicitors.co.uk) or Leilah Ashurst (LAA@nexussolicitors.co.uk). Any and all information on this website is general information and is not legal or other advice. 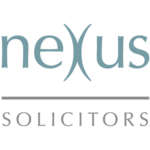 Nexus Solicitors Limited is not responsible for any loss which may arise from relying on the information on this site. 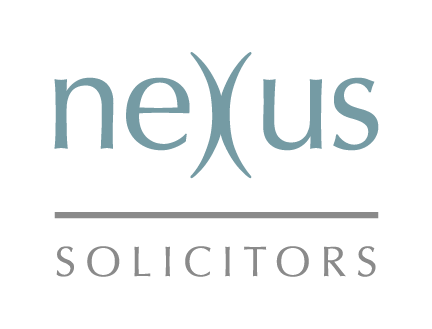 At Nexus Solicitors, all of our lawyers and staff are dedicated to providing an excellent service to our clients. We are proud of our reputation and our place in the legal market.